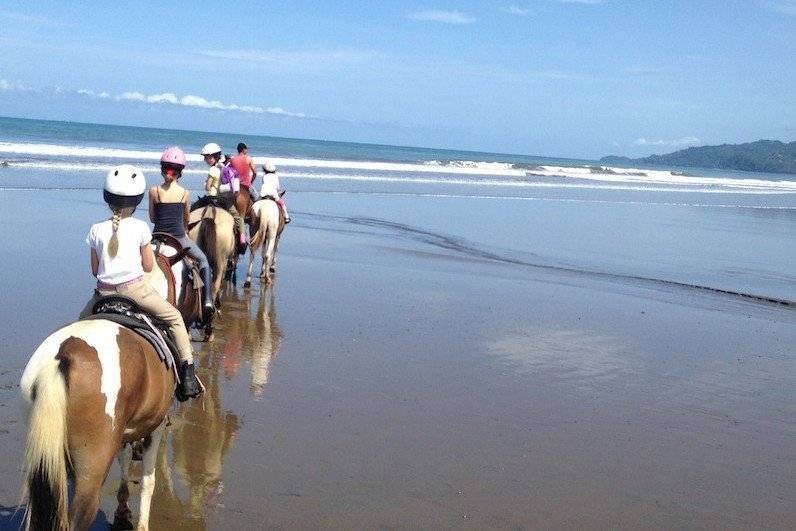 Have a wonderful horseback ride at the beach with us! 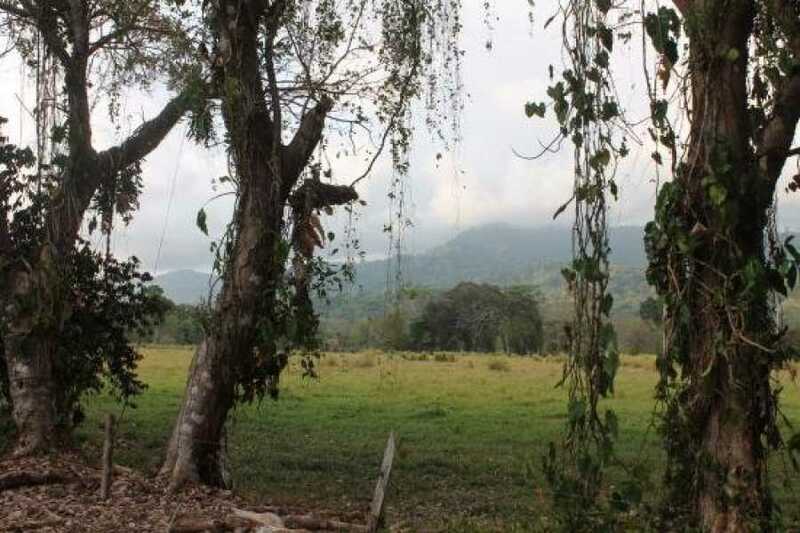 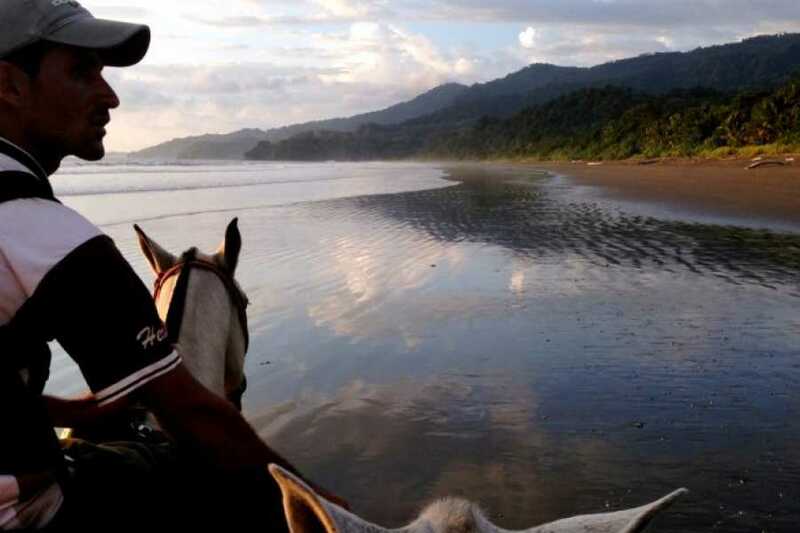 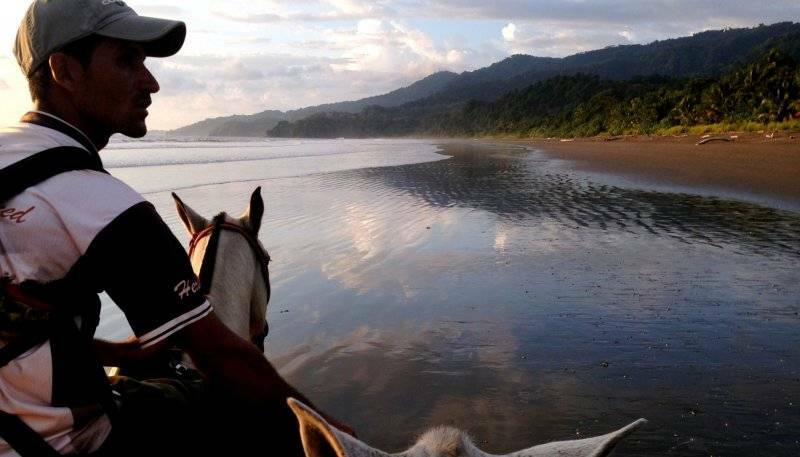 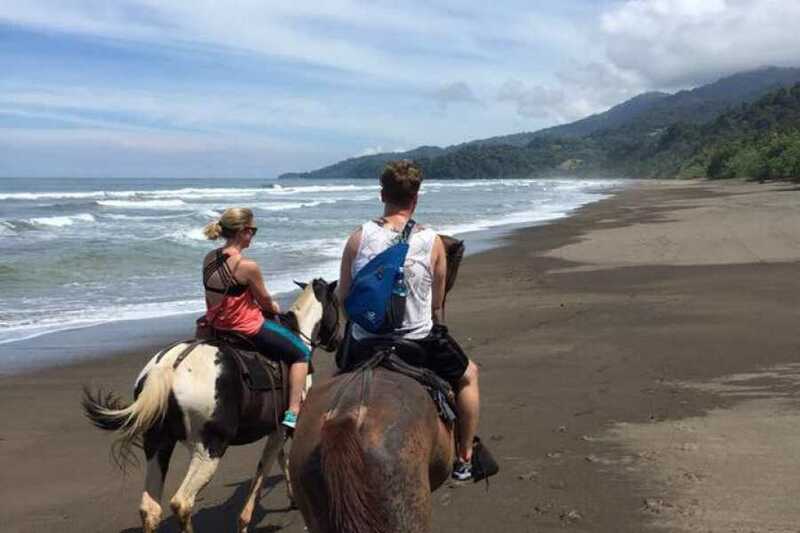 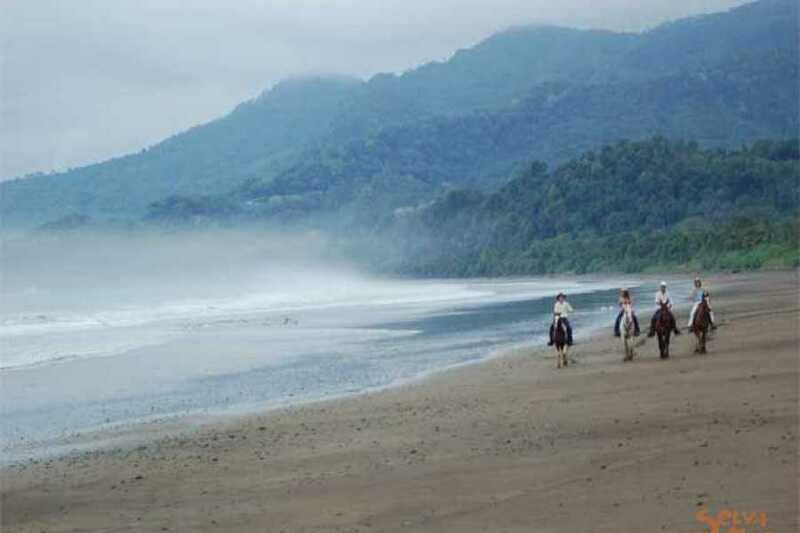 At la Merced wildlife refuge horses are carefully trained for you to have a pleasant experience, as you go through the refuge amidst the forest, towards to the playa Hermosa wild beach, aside of the Ballena Marine National Park. 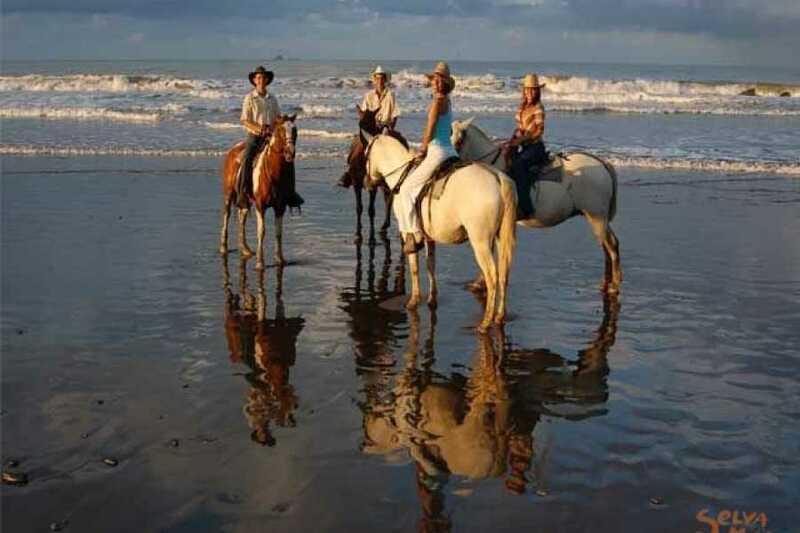 Groups are kept individualized as they book the tour, in order to have an enjoyable experience. Departure: The Horseback Riding Tour to the beach can be offered depending on the time the tide gives enough space to enjoy the ride. 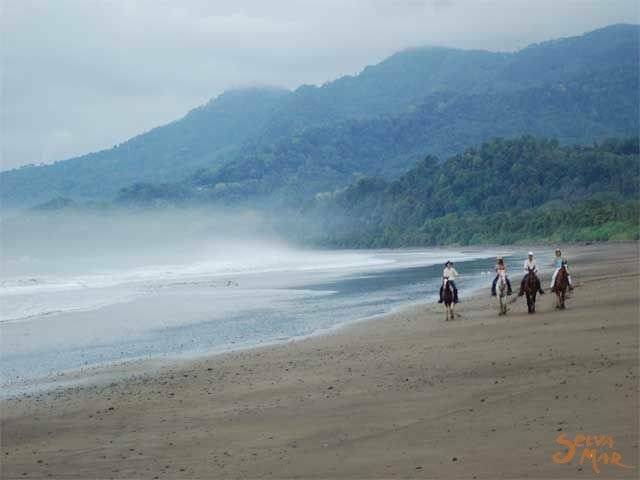 Please go through the reserving process and observe availability as you choose the date of your reservation. 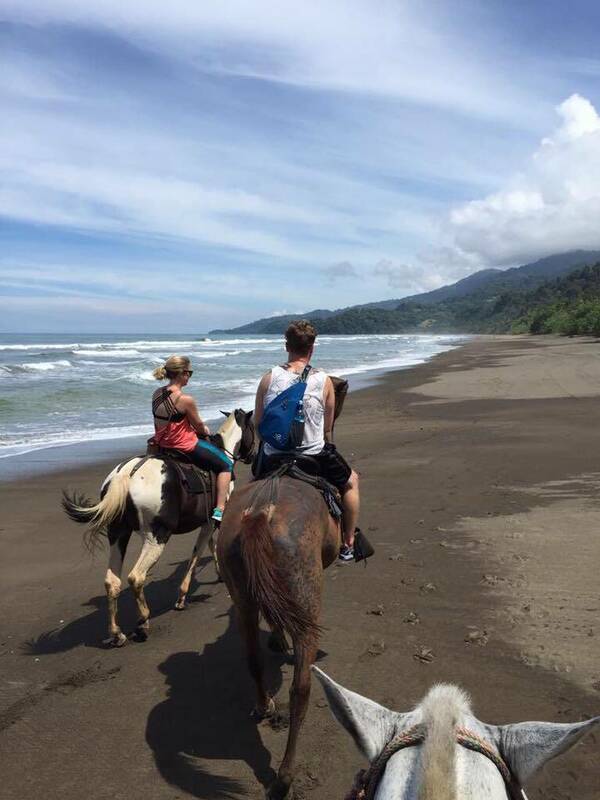 tour, 2 1⁄2 hours of ride. 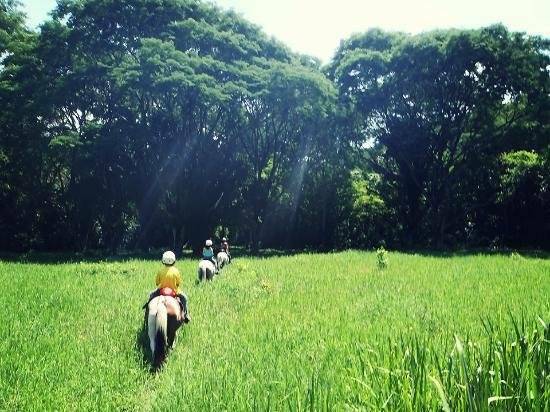 Requirement: No allergies to horses, no backpain, Maximum limit of weigh 150 kilos / 300 pounds. 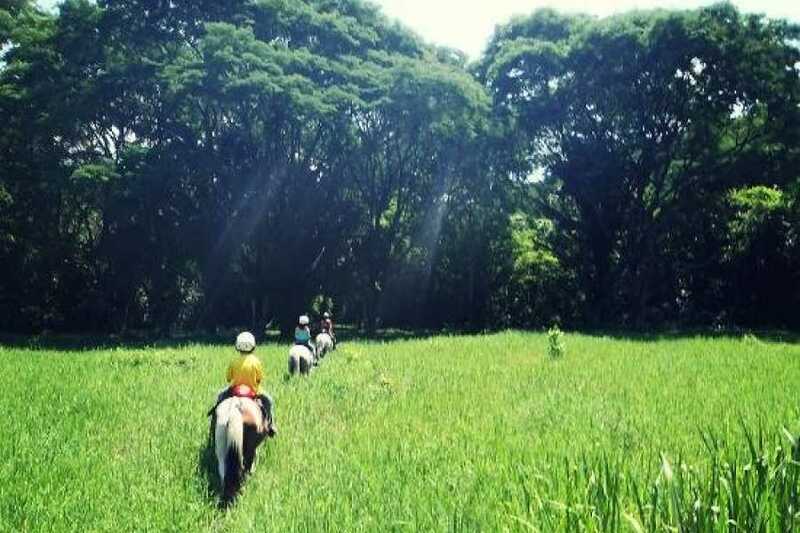 Price: $45 per person, $55 pp if you want the tour to be private. 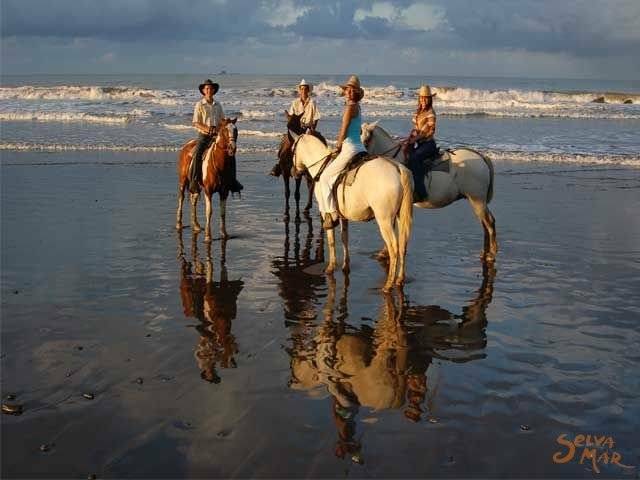 Perfect tour for horse lovers and the ones that will want to galloping !